Science journalist and photographer Jean de Pomereu has a very close bond with the white continent. Since 2003 he has been traveling to Antarctica on numerous occasions as a member of different artistic and scientific expeditions. His 2008 Sans Nom (Unnamed) analog photo series shows an extreme, remote and uninhabited landscape that is at once ephemeral and constant changing. Flip through our gallery to catch a glimpse of this mysterious landscape that very few of us will ever see. The icy wilds have fascinated Jean de Pomereu for years, but in November 2008 he visited the immense white continent for the fourth International Polar Year. Embarked on the icebreaker Xue Long, he was there to report on the work of a Chinese research base in Prydz Bay. But out of curiosity he also visited a nearby Russian camp and befriended scientists who gave him a unique invitation he couldn’t refuse. De Pomereu was offered an eight-hour ride on a ski-doo deep into the continent, so he grabbed his camera and without hesitating hopped on. The result is an astounding white and grey photo collection, analog and sans Photoshop, taken in the early hours under a thin mist. Sans Nom represents the photographer’s personal impression of ‘the end of the world’, a land with ephemeral towering structures without a name, silent, rough and immensely beautiful. 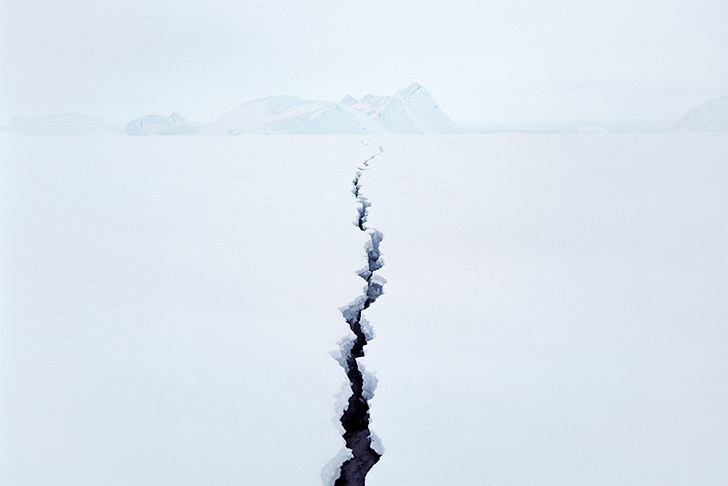 The icy wilds have fascinated Jean de Pomereu for years, but in November 2008 he visited the immense white continent for the fourth International Polar Year. Embarked on the icebreaker Xue Long, he was there to report on the work of a Chinese research base in Prydz Bay. But out of curiosity, he also visited a nearby Russian camp and befriended scientists, who gave him a unique invitation he couldn't refuse. De Pomereu was offered an 8-hour ride on a ski-doo deep into the continent, so he grabbed his camera and without hessitating hopped on. The result is an astounding white and grey photo collection, analog and sans-Photoshop, taken on the early hours under a thin mist. 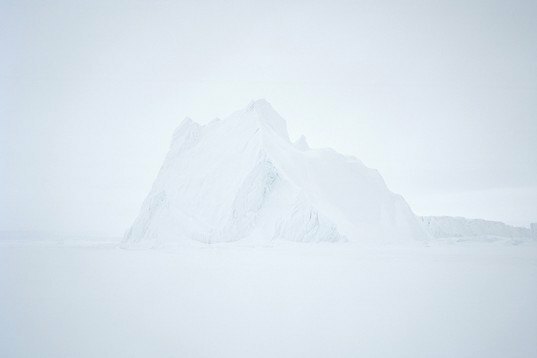 Sans Nom represents the photographer's personal impression of 'the end of the world', a land with ephemeral towering structures without a name, silent, rough and immensely beautiful.